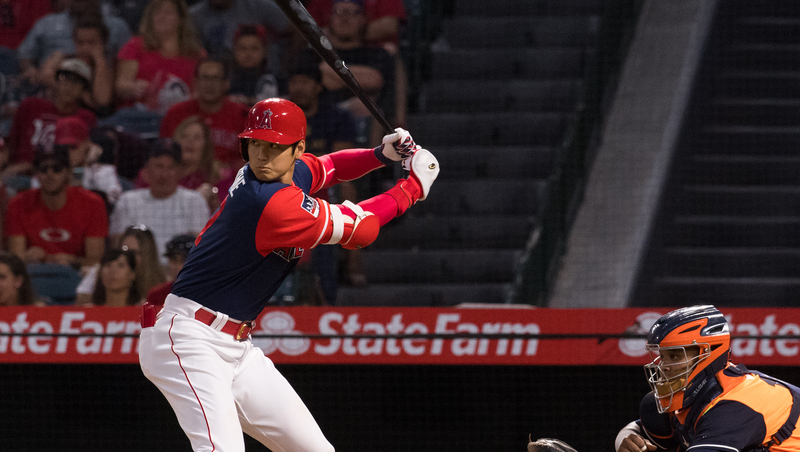 SHOHEI OHTANI had a home run and a double on Saturday but the Angels lost 8-3 to the Houston Astros in Anaheim (Angels photo). Justin Verlander continued his dominance of the Los Angeles Angels, who continued their slide deep out of contention as the Houston Astros posted an 8-3 win over the Orange County team in Anaheim on Saturday. Verlander (13-8) posted his sixth consecutive win over the Halos and racked up 26 scoreless innings until Shohei Ohtani broke it with a two-run home run in the bottom of the fourth. Ohtani also contributed a double, and Mike Trout had a good night as well, going 2-for-4 with two runs scored. But that was most of the offense for the Angels, who have now lost five straight and seven of their last eight games to drop their season record to 63-67. The Astros improved to 79-50 and kept their 1.5-game led in the American League West over the Oakland Athletics (78-52). Halo starter Jaime Barria (8-8) lasted only three innings, giving up five hits and four runs. Seven relievers gave up seven more hits and four more runs. The Angels will take on Houston again on Sunday with Felix Pena (1-3) going against the Astros’ Framber Valdez (1-0).